Essentially he came to realise that there are so many people doing selfless work who inspire change within their organisations policies, creating a better environment to work in for all, attract talent to organisations and felt they should be recognised for their charitable, workplace and community work. He said, “Unless you worked in the organisation you would never really know the organisation had network groups. There’s enormous value, on many levels, for having network groups that are visible outside of the organisation too.” He knew then what he had to do. Thomas, what made you want to start Inclusive Networks? Generally, the network groups we hear about have the resources and sponsorship provided by their organisations to share the work of their networks, but a lot of smaller organisations don’t have the opportunity to do that. In the public sector where budgets are being cut, having enough resources for basic internal awareness raising resources like posters or branded pens is sometimes a big challenge. This is why I founded Inclusive Networks, because it gives everybody the opportunity to share their work on an equal platform, with no hidden agenda or favourable coverage or recognition due to sponsorship, affiliations or contacts. Every network can shine equally together. We’ve already worked with and supported a diverse range of organisations from all over the UK, from PayPal and EY to Leicestershire Police and Action for Children. Everybody is given the same equal opportunity to discuss and share what they’re doing. We help bring networks together and share best practice and lots of tips along the way. Visibility is key, people need to know they exist or they won’t be seen and this is a real shame as they may be able to share their journey and help other networks, or other networks may benefit from approaching them – you can’t do this is people don’t know about you. It’s a win-win for both really. Having the visibility to attract talent and let people know what work they’re doing to support workplace and community inclusion is a really good way of demonstrating authenticity and their diversity credentials. It really shows how the organisation has invested time and resources in their network groups, and their people are engaged. Some organisations have inactive network groups or networks that have lost their momentum – but this is common though and there are lots of ways this can be avoided and reversed – there are lots of great examples out there. A few people drive many network groups and if they leave or become disengaged, it can be very noticeable. If your network has been around for a while you need to keep things fresh so for those coordinating the network, things remain exciting and enjoyable – and it doesn’t start to feel like a job and the members of the network feel like they’re not attending the same event or reading the same info time and time again. This is where collaborating with other networks and sharing resources works well – and people see new faces and experience events in different surrounding too. Networks are a place where you can be yourself, feel supported and you know there’s going to the other people like you. One reason lots of networks lose momentum is those involved in coordinating them begin to feel their work is not valued. It’s really important for organisations to remember to thank those who support network groups and where relevant or possible, reward them for their work in whatever way they can. This doesn’t have to be a financial reward but could be a visible message of support and thanks from the Chief Executive that can be used on their CV and could be helpful for their personal development. It also important that one network is not favoured over another and the space is created for them all to shine equally in the workplace – with the same access to resources and senior support and endorsement. The majority of successful network groups are co-ordinated and fully managed by employees who do the work on top of their very demanding day jobs – they have the drive for the work as opposed to being paid to do it as their job. Any extra time they have is devoted to their network group work which is often just as demanding, especially around the time of events and participation at diversity celebrations. Some organisations have network groups but you can see from outside that they don’t really invest in them. I think depending on the sector, resources can be a big barrier but also a misunderstood one. People can get a bit too wound up on lack of resources being a blocker to doing innovative and engaging things. I think the biggest resource to making a network work is the small team of dedicated people who are kindly or willing to commit their time and effort, which does not cost money – but should never be taken for granted. From a small group of engaged and energised people, great things often grow. We shouldn’t focus too much on the big things other networks are doing, it’s all baby steps and looking too closely on what other networks are doing can sometimes be demotivating and create a sense of you’re not doing enough. Set objectives that are aligned with that of your organisation and work with other networks in your organisation, and beyond, and the network will be on the right path to success. And make sure your celebrate and share all your milestones, however small you may think they are. What challenges have you faced in your journey since founding Inclusive Networks? Inclusive Networks is only 12 months old. In my previous role, I had met a lot of people and worked hard to build useful relationships on lots of levels during this time. Many of these have been helpful in terms of gaining initial content for the website but anyone involved in networks will tell you that opportunities rarely come to you, you’ve got to go out, do the work and do that yourself. But there are also lots of people I worked with in the media and other diversity organisations that I supported immensely in my previous role, gaining sponsorship for their events and funding for advertising in their publications, but as soon as I left The Co-op you quickly identify those who were only interested in the relationship as they had something to gain from it. As soon as the powerhouse of an organisation like that is behind you and you’re no use to them for sponsorship or event ticket sales etc., they’re not interested anymore. That’s disappointing. It’s not how I work but everyone is different and you move on from it. Sadly, I can say the same of someone I previously worked with and I sacrificed many things to support their own work. They were the very first person to unsubscribe from our mailing list and quickly disengaged themselves once I had moved on – you quickly see the different sides of people. You can spend too much time mulling over these things and you must move on and focus on the positives. With so many engaged people, new initiatives and awesome networks, you invest your energy in those places. Inclusive Networks is about showcasing the authentic work of active network groups as opposed to just saying how great an organisation is. It’s really about the networks and the people like I said, that are doing this on top of their busy and stressful day jobs. One of the biggest hurdles is getting a response from lots of the people I approach, whether that is for a feature or potential support. People have different priorities and in this area you need to appreciate that and understand the demands on peoples time is high. But for every response that I get, this often leads to an inspiring feature that we can share that’ll help others – and a positive new relationship too. I’ve experienced a few disappointments along the way and you learn not to rely too much of lip service and I’ve quickly learnt to sense the relationships I know will lead to something positive and those where people aren’t really too interested in what we’re doing but want to dig for info and perhaps see us a threat to what they’re doing, which is silly. We’re all in this together and anyone who I’ve worked with will hopefully tell you how open we are and I collaboration and something that should be encouraged. The diversity media and event space is quite small and each respective organisation has their own agendas I suppose. Inclusive Networks is pretty unique and we operate to a social enterprise model and in 2016 we will be working to become a registered social enterprise – we’re currently listed as a limited company with any profits going back in to our work and supporting networks. Do you think there is a change in the world of diversity and inclusion? Oh yes, it’s so talked about now. I remember only three years ago I was speaking to a big retailer about supporting Pride events and they were worried about losing customers and receiving complaints, and this year they were proudly flying Pride flags from lots of their stores. It’s fantastic. But we must not allow diversity to become a buzzword and whenever we see an organisation supporting diversity events or marketing to different demographics, question this authenticity. What is it like to be in a minority group and work for them? The reality of being in a minority group in the workplace is very different to what people are seeing on social media or within the press in lots of cases. Many organisations monitor their staff, where every year or less frequently they undertake a survey where they ask their employees a series of questions about their real life work experiences and the percentage of people actually disclosing information such as their sexuality or disability is very low in a huge number of organisations. Some organisations may be really prominent in this space and shout about diversity and inclusion on social media but less than half their workforce may feel comfortable declaring this information. Lots are working on identifying why and trying to reverse this, which is encouraging. So there’s still a sense that many people don’t feel comfortable in disclosing this information, as they don’t know what it is going to be used for. Network groups are a big part of supporting increasing confidence and understanding in disclosing information and acting on the results. We need to remember people can see for themselves whether an organisation is being authentic. 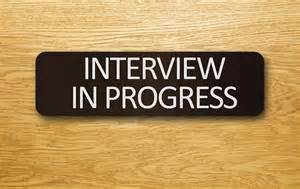 Many organisations undertake no monitoring at all – you really are just a name and number in the HR files. You need to look at the diversity in boardrooms to see there’s obviously a long way to go in many organisations where black and ethnic minority and female representation is low – and they lack any LGBT role models. The reassuring thing is people are really talking about it now and you can see there is a real desire to change this in lots of organisation and they are working hard to get more diversity in the workplace, at all levels. We are seeing some progress, but this varies greatly based on sector and location. However, I would always question when an organisation is very visible in their support of diversity and inclusion, in the sense of selling a ‘themed’ product, advertising at diversity events or in diversity media, marketing or social media. As mentioned before, we should ask ourselves what it’s like to work for that particular organisation. Do they publish their monitoring results or promote their networks on their website? I believe a visible and active network group is a really visible sign of an investment in people. If their website has an area about diversity and inclusion, including info about the different network groups they are associated with and they visibly promote their achievements in this space, community and charity work, this is another sign of their authenticity. Check out their employee focused Facebook page (if visible) to see what employees there are talking about – you’ll get a feeler about what it’s like to work there. If companies are supporting and sponsoring community based events such as Pride and celebrating LGBT milestones with rainbow branded items or marketing, why are they doing it? Are they simply trying to positively promote their own brands and get money in their accounts? Are they actually investing and providing resources for the events to take place? Is it their employees taking part of have they ‘paid’ for promo staff to attend? These are the questions that I think people are going to be asking now. And you know it’s great organisations support different events and initiatives but most of the benefits of being involved are felt by the organisations and not so much the charities or community groups they are ‘supporting’ – there are of course exceptions to this. I’ve spoken to lots of diversity event organisations, often volunteers themselves, and they tell me how the word ‘support’ is often misunderstood by the general public seeing it being displayed and in lots of cases they receive no useful support from said organisations. What advice would you give to a corporate organisation that doesn’t really know too much about the benefits of diversity network groups? I think firstly they should ask their employees if there is an appetite for a network group and I think if you’re an organisation that doesn’t monitor your staff then you are really not in a position to say that there is no need for it. If you don’t know the make up of your workforce, then how do you know you’re attracting diverse talent, and your employees are all having an equally favourable workplace experience, no matter their differences? 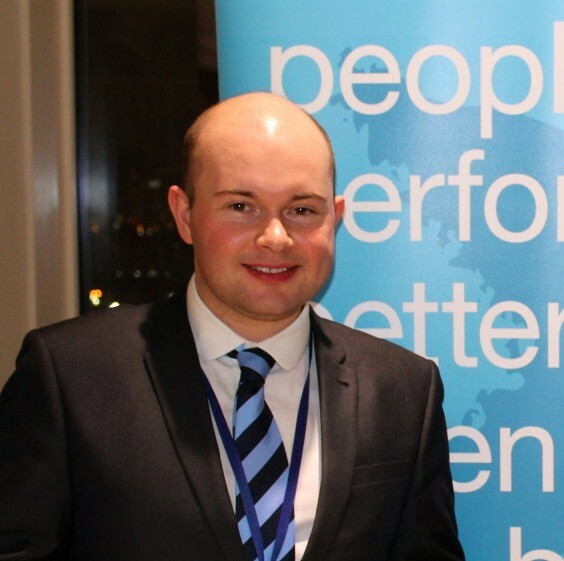 I’ve heard it being said many times where an organisation will declare that “all of our disabled or LGBT staff are happy” and they base that on feedback from the couple of people they know within the organisation who in many cases are in favourable positions or wouldn’t dream of saying otherwise. In actual fact, lots of organisations have many different types of roles and employees’ experiences can change massively from location to location and role to role. Every employee should be treated the same, from the cleaner of the building to the CEO, I think you need to really understand who your staff are. If you approach different networks, many of them are all too happy to share best practice and their journey. There’s lots of great Inter-Sector networks out here too where you can learn from networks in your own sector. There are many places you can go to get advice. A network group focus should always be on their employees (or members) and how they can benefit from the network group, and how the network can also benefit the organisation. Generally network groups are inclusive and are a really good source for meeting new people, supporting your career and personal development, getting involved in volunteering and charity work and just being an escape from the day-to-day challenges lots of us face. Visible networks are also positive for attracting talent and I know some people have joined organisations because they’ve witnessed their network groups in a diversity parade or they’ve read about them in magazines and they’ve known they could go and work there, be themselves and build a career knowing they will be treated the same. How important are awards and external recognition? To be rewarded and recognised is great but it should never be our motivation when coordinating network groups. If you’re doing everything in an authentic way then I believe that recognition will come – if people know about it. Never let chasing recognition detract from your ultimate network objectives. Never underestimate a simple thank you and make sure you celebrate and shout about your milestones. Of course external recognition is nice and it certainly adds to internal and external buzz for the network. It can also help engage further with your organisation and support securing resources and internal senior interest and sponsorship. You may also have employees who don’t know about your network but because you’ve featured in an article online or magazine they become aware of your existence and will then hunt you out to engage with too. Our inaugural Inclusive Network Awards, the UK’s first awards dedicated to network groups, are all about celebrating and rewarding the work of the individuals and teams who show an extraordinary amount of commitment and dedication to supporting employees, the wider community and help influence the views of the wider public on their perception of the organisations they represent through the work of their network groups. The awards were founded to authentically recognise the doers and recognise all the different elements that make a network group successful. All of our finalists really make a positive difference in the workplace and beyond and it’s fantastic to be able to recognise the awesome work, dedication, commitment and impact of network groups covering many diversity strands and sectors in the same room. There’s so many diversity orientated awards out there now and lots of the headlines we read are about the events celebrity performers and the celebrity winners – the other non-celeb winners often fail to get a significant mention in the coverage. It’s also become more common for events and their organisers to buy their following on Twitter and other social media to create a false level of status, buzz, support and interest for the events (and people) which again is a real shame and not very authentic. You can quickly work these ones out, especially when they jump from a few hundred to tens of thousands of followers in the space of a few days. I’m proud that although we don’t have the resources of lots of the bigger diversity awards that our real social medial engagement and buzz surpasses many of these. Authenticity shines through. Be yourself. Be authentic. Thomas Anderson speaking exclusively to Contracts IT. 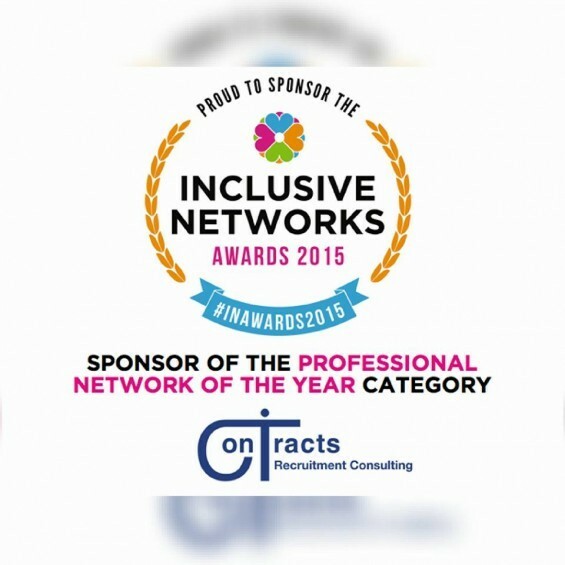 Contracts IT are proudly sponsoring the ‘Professional Network of the Year‘ category at the Inclusive Networks Awards taking place on the 19th of November 2015 in Manchester.